Is the Cost of Radio Advertising Worth It? When advertising your business, you have many options to choose from. With the growth of online marketing, traditional forms of advertising may seem outdated and no longer the best way to reach people. You may be wondering if the cost of radio advertising is worth it. Depending on your business, it may not be wise to give up just yet on this method of advertising. In the following paragraphs, you will find a few of the biggest reasons why radio advertising may be right for your business and why you may not want to overlook it in your overall marketing strategy. One of the most important and practical measures of any marketing initiative is ROI (Return on Investment). This measure really gets to the basics of whether or not dollars spent are leading to dollars earned and to what extent. In looking at the cost of radio advertising, keep in mind the following. A recent study of radio advertising by the Radio Advertising Bureau found that on average radio advertisers get a 7.7x return on investment. This puts radio ahead of all other forms of advertising besides TV advertising. Another study by Nielsen that focused on radio advertising leading to brick and mortar sales found an average return of $6 for every $1 spent, for a 6.0x return on investment. While returns will vary by industry, market and geography, these averages suggest radio advertising could be worth a serious look. With the massive amount of “noise” that the average consumer hears in a single day, it can be hard to get your brand and message to stand out. Radio advertising allows you to get your message out in a creative way that, if done right, can stand out and create a positive impression on the listener. Similar to TV advertising, having a more memorable message on the radio can help share your brand identity in a way the listener can appreciate and connect with. 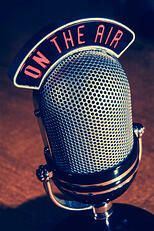 Radio advertising gives you another benefit that can help increase response rates – frequency. Radio Advertising brings exposure to a large group of listeners at key moments and potentially multiple times throughout the week. The Nielsen Study also showed that certain purchases increase when a listener has heard a radio ad within the past 3 days. Radio ads reach people who, while driving, are not online or watching television and are out where the likelihood of following through and purchasing is high. In Summary, radio advertising can be a very effective way to reach new customers and increase sales. In Fact, an article in Entrepreneur Magazine states that “some of the most effective campaigns in business history have been ‘radio only’ campaigns”. With studies showing high ROI for radio advertising, the creativity it allows for brand positioning, and the ability to play ads at the time of day or year that there is high interest, radio advertising may just be worth the cost for your business. If you are looking for help with your local or national media buys, planning your radio campaigns, or even producing a radio ad then contact us at Half a Bubble Out today! Since 2002, Half a Bubble Out has been dedicated to providing marketing, advertising and small business consulting that meet the needs of our clients. We specialize in powerfully telling stories through Inbound Marketing to grow your business filled with more passion and provision. Based in Chico California, we serve clients throughout Northern California and across the country to New York.